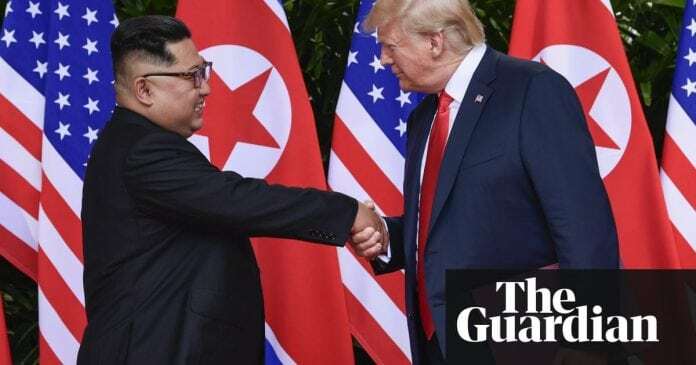 US President Donald Trump spooked the Pentagon leadership with a tweet that had it been sent would have been read by North Korea as a sign of an imminent US attack, journalist Bob Woodward has said in an interview. Woodward, whose new book Fear: Trump in the White House hits book stores on Tuesday, described the incident in the interview with CBS as the most dangerous moment of Trumps nuclear standoff with North Korea. He drafts a tweet saying We are going to pull our dependents from South Korea family members of the 28,000 people there, Woodward said, referring to families of US troops stationed on the Korean peninsula. The tweet was never sent because of a back-channel message from the North Koreans that they would view it as a sign the US was preparing to attack, according to CBS. At that moment there was a sense of profound alarm in the Pentagon leadership that, My God, one tweet and we have reliable information that the North Koreans are going to read this as an attack is imminent. US tensions with North Korea have subsided since Trump and North Korean leader Kim Jong Un met in Singapore on 12 June. Kim recently expressed his unwavering faith in Trump, and the US president on Sunday praised North Korea for a military parade that included no nuclear missiles. But the earlier brinkmanship between the two nuclear-armed states including Trumps threat on 19 September, 2017 to “totally destroy North Korea” had sent tensions soaring. Woodwards description of that situation as an “administrative coup detat” echoes that of an anonymous senior administration official who spoke, in a recent New York Times op-ed, of a “quiet resistance” to Trump.